Contact We are here to help you. 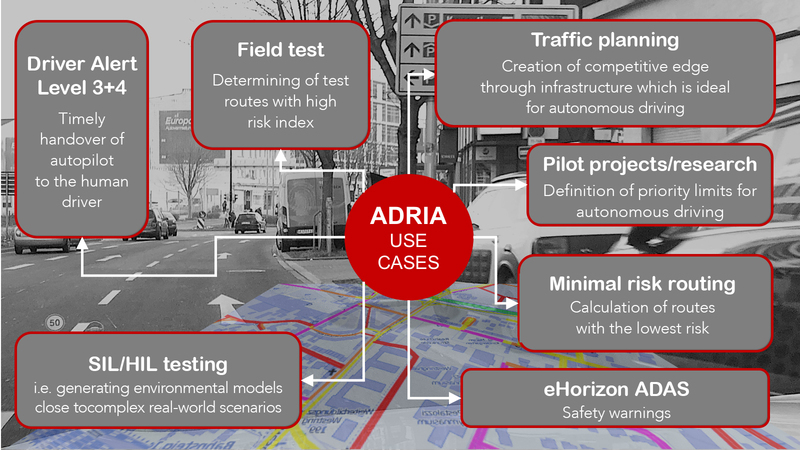 ADRIA stands for Automatic Driving Risk Index Atlas. This analysis focuses on the extent to which the vehicle’s environment statistically presents a heightened accident risk, in particular with more vulnerable road users. for cities with more than 500,000 residents. The risk index was determined for every metre of road in Europe, and is designed to support the introduction of autonomously driven vehicles. The era of highly or fully autonomous driving in our cities is approaching much faster than anticipated by experts even a short time ago. When computers take over steering, human error will be reduced, but autonomous driving is no guarantee against poor driving by other road users, or resulting accidents. Suppliers of autonomous vehicles fear that such accidents will harm the technology’s image. The task therefore is to reduce this risk to an absolute minimum. LOGIBALL is making its own contribution towards this. Against this background, a LOGIBALL research team has calculated a risk index for autonomous driving. More than a hundred factors were analysed for every metre of the public road network, and fed into the ADRIA risk index. 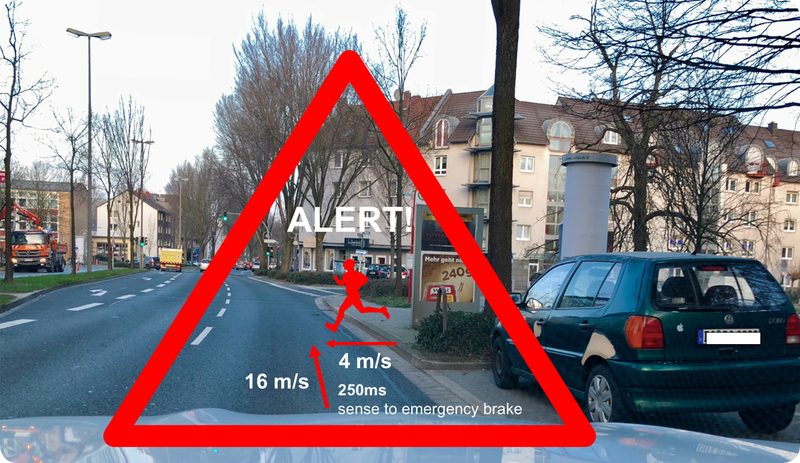 Put simply, this value describes the probability of an autonomously driven vehicle becoming involved in an accident. The main factor taken into consideration is that a self-driving vehicle looks and behaves differently from a person. This risk value was considered across the entire road network, and converted into a ranking. The ranking is the result of an initial broad calculation. The model is fine-tuned and updated both with regard to input data and interaction. A distinction is made between the various risk classes. One class, for example, represents the occurrence of sudden events such as pedestrians unexpectedly crossing close to schools. Others assign higher risk values due to structural characteristics of the road infrastructure. It is easy to see that a complex crossing in a city entails a greater risk that a rural single track road, especially when sun glare impairs camera system functions. The risk index is formed from a wide variety of data sources and reflected on the current navigation maps. ADRIA is relevant to vehicle manufacturers, insurance companies, policy makers and administration, as well as operators of driverless taxi systems. Vehicle manufacturers can select routes with an especially high risk for test runs, in order to test the ability of the installed sensors to handle complex traffic situations. Local councils can identify weaknesses in the transport network. 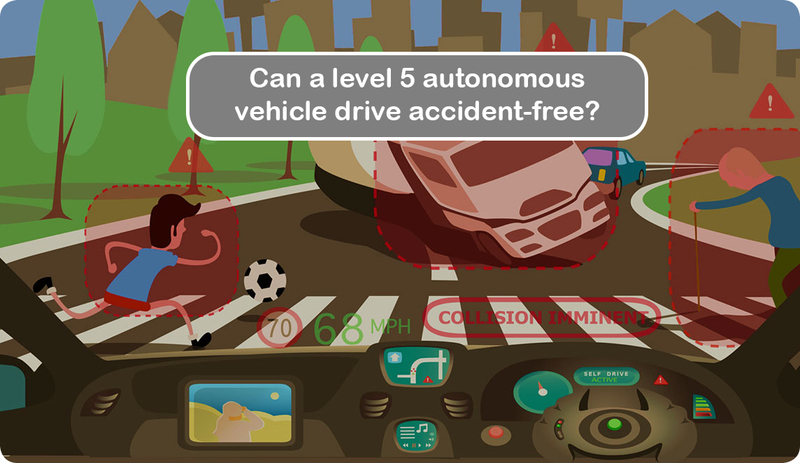 Autonomously driven vehicles can take the accident risk into account when selecting routes, and thereby avoid accidents involving school children for example, as roads with a high frequency of school children can be avoided. ADRIA is undergoing continuous improvement. Dynamic data and artificial intelligence are increasingly used for updates.